Is your community part of the national distrx network? Main Street directors and community managers across the country now have a FREE tool to reach today’s huge mobile audience. 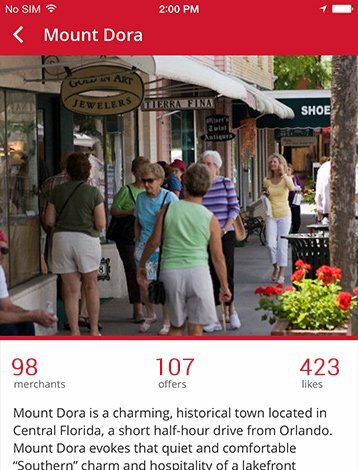 distrx is a free location-aware mobile app designed specifically for Main Street communities. 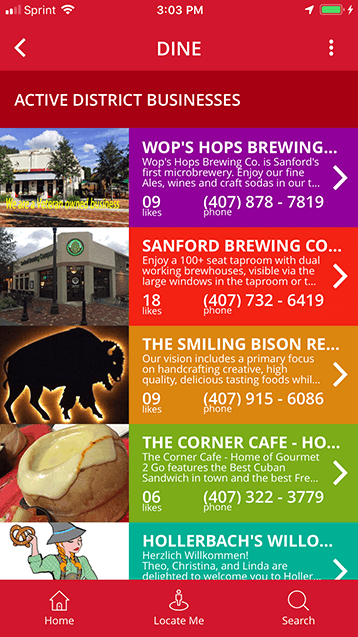 As mobile users enter your district, they receive a welcome greeting, and the app opens to reveal everything a visitor wants to know about your community: area events, parking locations, local attractions, map, and a business directory by category. Best of all, when the same visitor travels to another Main Street community, the same mobile app transforms to become the app for that community. 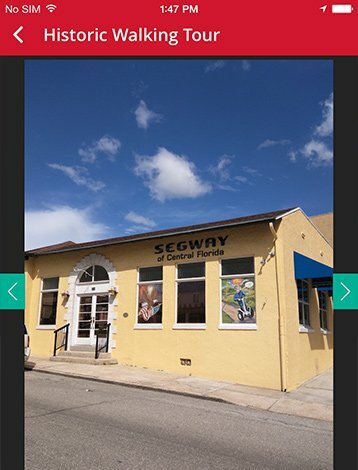 There is no cost to the Main Street to participate, and local businesses can subscribe to create comprehensive business listings and promotional offers, which are sent automatically to app users as they arrive. 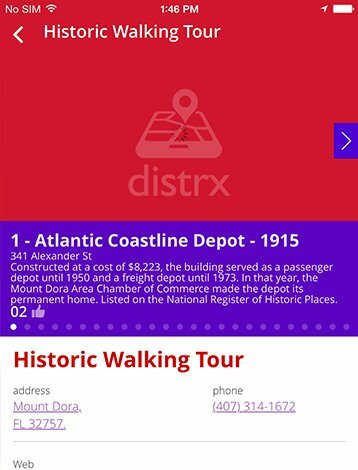 The distrx mobile app also powers historic walking tours and other “apptivities” to engage visitors and invite them to participate in the community. We’ll create your mobile app and turn control of the content over to you. Download the free distrx app on the App Store and Google Play. Create a welcome greeting your app users receive as they arrive in your district. Add pictures, parking and attraction info, website and social media links, and upcoming events. These features are all at no cost to your district. Your local businesses sign up and create their own business listings, with the same control of their content you enjoy for your district overall. They create promotional offers sent automatically to mobile users as they arrive. distrx lets mobile users know when they’ve arrived in your district, providing a welcome alert and message you control. Include area attractions and points of interest, including links to websites or other resources. Dining, Shopping, Arts, Entertainment – local businesses are listed in their respective category, with promotional offers sent to app users as they arrive. List your parking locations, which will appear on the map. When a location is selected, your app displays the route to get there. Post your upcoming events, or link directly to your website’s event page. We are thrilled to offer merchants in our Main Street districts the opportunity to participate in this exciting new technology. Now our small local businesses can welcome customers with personalized greetings and promotions and be part of a nationwide listing.